Don't you love a good three day weekend? Me too! We decided to spend Memorial Day weekend way up (even farther) north in Mt. 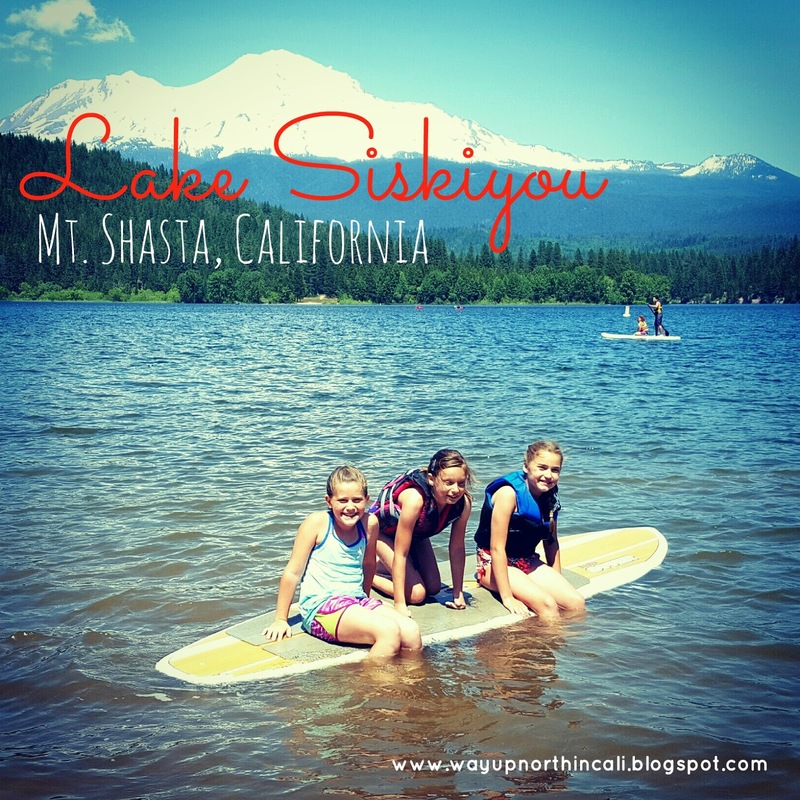 Shasta area at Lake Siskiyou. It is beautiful up there! We have some family that live in Mt. Shasta and every time we are there, I am reminded why they love it so much. Even the hour drive up there is beautiful! Hard to get a good picture through a dirty windshield! 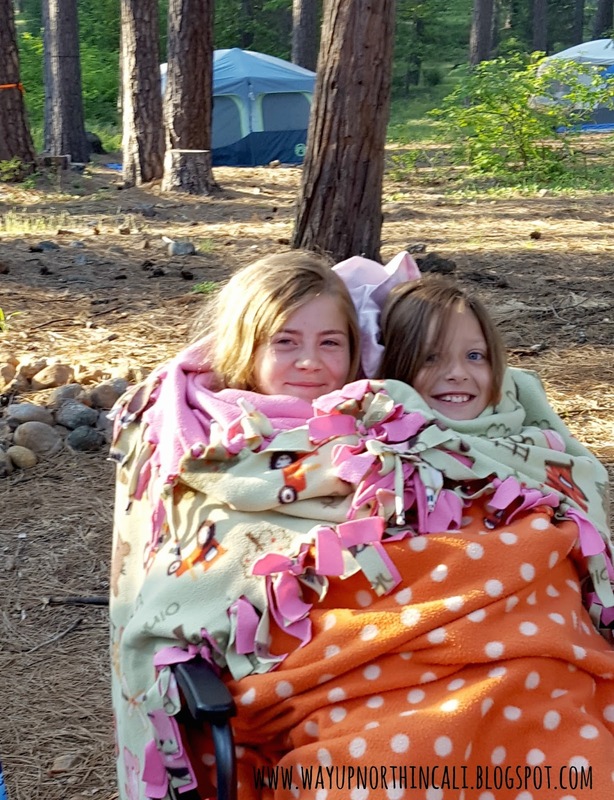 We were at Lake Siskiyou Camp & Beach Resort for 3 days and I took 5 pictures. What kind of blogger am I? I got one picture of the campground. Lame. Sorry folks. It was a very nice campground. If you want total seclusion from other campers, this is not your place, but if you want a beautiful setting to spend some time outdoors and don't mind a neighbor or two, then head on up! Bathrooms were fairly clean and they have a store and restaurant. I did feel that it was over priced. I ended up paying almost a hundred dollars for three nights of camping. That in and of itself wouldn't be so bad, but we had another family camping with us and we split the cost. It was total about $170. There were a lot of little charges. Two adults and one car were included in general price. Then all other people or vehicles are extra. Anyway...beautiful campground, but be ready to pay more than your average camp site. There are cabins you can stay in if you prefer, but be prepared to pay a pretty penny for those too. 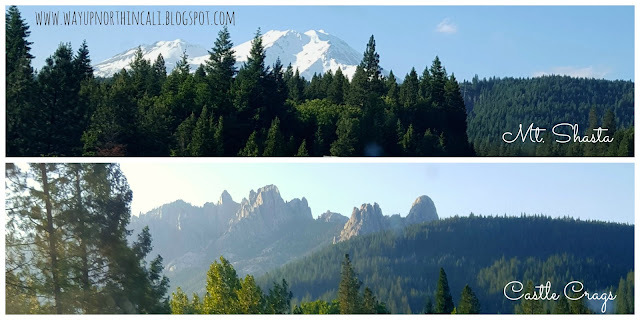 Overpriced or not, the proximity of the campground to Lake Siskiyou is fantastic and the view of Mt. Shasta is incredible. We spent a large portion of our time at the lake's beach. My kids can't get enough of sand and water. And I was ok to just lounge in my chair while they played. This is a great place to escape the Redding heat in the summer. Can I say it one more time...the view of Mt. Shasta is so beautiful! 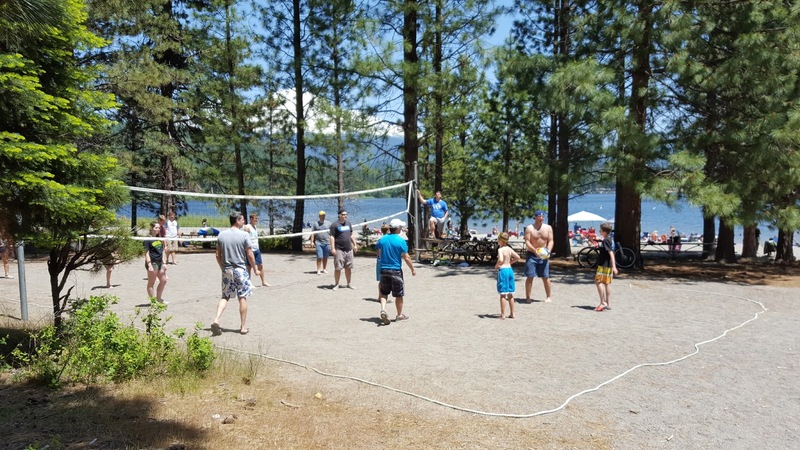 Activities: Kayaks, Canoes, Stand Up Paddle Boards, Pedal Boats and life jackets for rent at the beach and at the Marina you can rent a patio boat. In the summer, they have big blow up play structures in the water to climb up and play on and a sand volleyball court. Cost: Check out prices here. If you don't want to camp, you can pay the day use fee to use the beach. We had a great time. I would camp here again. Which means, if I am willing to pay the cost, then I guess its not overpriced after all. Have you camped or spent the day at Lake Siskiyou?